This perennial plant is common in hedgerows and climbs up shrubs and hedges. The leaves are rather rough to the touch because of bristles along the edges. 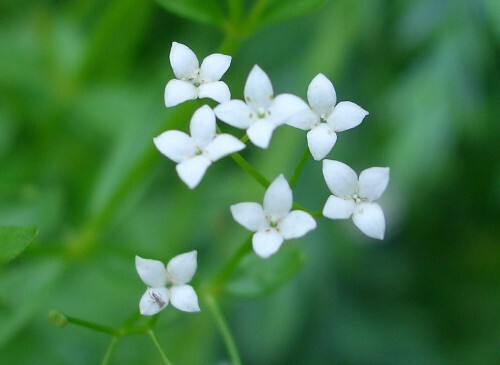 It has clusters of tiny white flowers, each just a few millimetres across, with four petals. This plant was used at one time to curdle milk for making cheese.